Since the terrorist attacks of 9/11 and the wars in Afghanistan and Iraq, America has raised a whole generation of service members and combat-hardened men and women — 3.6 million people as of last year — who’ve been trickling back into their communities and starting over as private citizens. 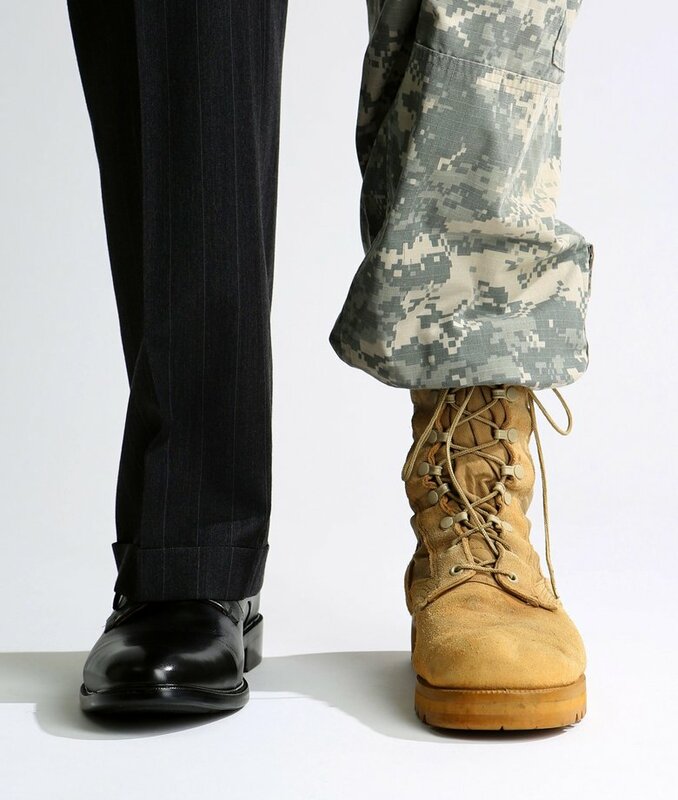 Many employers say military veterans are ideal job candidates because of their work ethic, on-the-job experience and leadership qualities. AS MOST OF US got ready for bed on the night of March 19, 2003, Nicole Gadson got ready for war. Halfway around the world in Kuwait, Gadson was at the wheel of a Humvee as part of the Stryker Brigade combat team that would soon lead the invasion of neighboring Iraq to topple the government of Saddam Hussein. 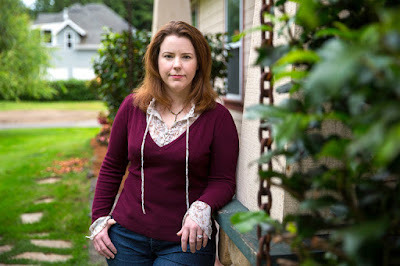 It was a strange turn of events for the New York City native, who now lives in Snohomish County. After growing disenchanted with studying accounting in college, Gadson signed up for the Army in January 2001. On the morning of Sept. 11 that year, she was half asleep in physical training on base in Pierce County when news came about the terror attack on the World Trade Center back home. Watching events unfold on a TV in the gym, she thought of friends and family who might be in harm’s way in New York. And she realized one other thing. “I knew we were going to war,” Gadson says. In Iraq, Gadson’s most basic, yet greatest, achievement at any given moment was ensuring her own survival and the lives of everyone around her. Winn Dixie is following up their PR disaster of last year when they raised money for Wounded Warrior Project. Yep, those guys. Apparently they didn't get the message that they ended up dismissing all the other generations responsible for keeping this nation free. You know, all the pre-9-11 veterans who should matter equally, especially on the 4th of July, but they don't. Want to do something for military personnel other than throw a "We Support the Troops" sticker on the back of the car? Go shopping at any Winn Dixie on July 4. Because 100 percent of the profits from the holiday will be given to Hope for the Warriors, a nonprofit organization that assists veterans, active duty military and their families. "It makes me proud to work for a company that is able to do something like this,'' said David Logan, district manager for Winn Dixie, which has 14 stores in Escambia and Santa Rosa counties in Florida and Baldwin County, Alabama. "It's awesome to be able to give back to the community on such a great day." The Independence Day donation program is a venture of Southeastern Grocers, Winn Dixie's parent company. More than 700 Winn Dixie grocery stores across the Southeastern states will participate. Last year's profit donation drive raised more than $3 million for veterans. So who are Hope for the Warriors? I had to look them up too. We provide a full cycle of care to restore self, family, and hope to post-9/11 service members, their families, and families of the fallen. Instead of donating to charities that actually take care of all generations of veterans, they managed to yet once again tell the majority of veterans in this country they just don't matter as much. 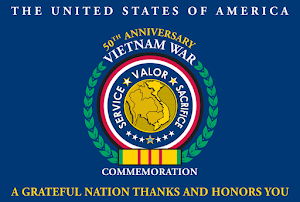 Look up the DAV, the VFW and the American Legion and then ask yourself why a campaign to raise funds for veterans on the 4th of July was not for them since they take care of most of the veterans forgotten about all over the country by the groups getting the attention and the funds. Deplorable! Baboolal first met Chaffee about five years ago, when he found her in a city parking lot in a sleeping bag with two small dogs, Mister and Peanut, on a cold and snowy December eve. Chaffee would not part with her beloved dogs so she could not enter the city’s homeless shelter. For 26 years, Charlotte Chafee worked as a registered nurse before suffering a debilitating heart attack that led to the loss of her job. Soon after, the U.S. Air Force veteran silently slid into homelessness. Middletown Animal Control Officers Gail Petras and Sgt. Nick Baboolal went above and beyond with efforts to provide Chaffee with safety and security while she lived, and with a final resting place in the State Veterans’ Cemetery after her untimely death last month. (WJBK) - A Huey helicopter that was turned into an art installation has arrived at the Henry Ford Museum. The helicopter arrived Wednesday morning, escorted by dozens of motorcycles. The 47-foot long sculpture called Take me Home Huey is part of a mission to help those with Post Traumatic Stress Disorder. 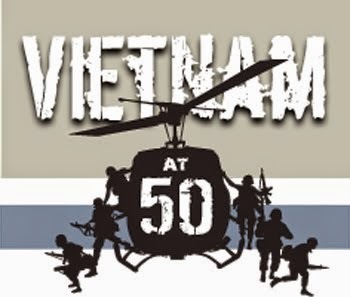 Steve Maloney, the artist of the project, says this project brings notice to those who served not only the Vietnam War but all other conflicts, too. CBS 58's Amanda Porterfield has the exclusive interview. Fireworks going off at a nearby festival over the weekend scared the vet. His wife said he fired shots into the air and that ended with him in jail. This couple says - this incident has been scary. We're not naming them to maintain their privacy. However, they wanted to tell their story - to highlight the struggles many veterans have around fireworks and especially the 4th of July. She says - her husband was a combat veteran in Afghanistan. 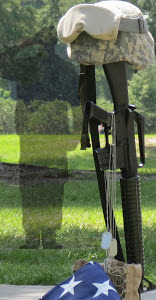 He is in the reserves and has suffered from PTSD for years. "When the fireworks went off it triggered him." She says for her husband hearing those fireworks was like being in the war all over again. "It just sounded really loud and really close and he's told me before the fireworks sound like the guns over in Afghanistan." She says on Friday, he was working on his truck outside when the booms went off. He ran upstairs - grabbed his rifle - then crouched on the side of his car - gun in the air as if he were hiding from the enemy. "I called 911 and as I was on the phone with the operator I heard five gunshots. He shot the gun off as he was sitting by his vehicle. He was so upset he hyperventilated and passed out. He didn't hurt anyone. He thought he was being attacked." Canada Wants Money Back From Disabled Veteran? 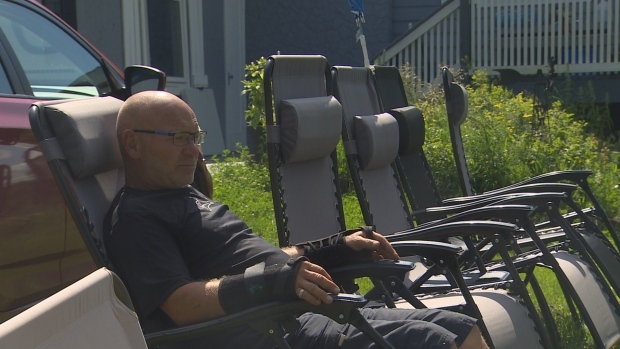 Retired Armed Forces veteran Dean Campbell relaxes at his property east of Sherwood Park. 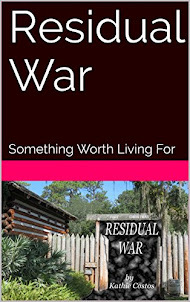 Dean Campbell sometimes sees bombs dropping, smells things burning, hears the sounds of war. His flashbacks are symptoms of post-traumatic stress syndrome, and can be triggered by loud noises, large crowds or stress. The latest bout, he said, was brought on by a letter from Veterans Affairs Canada. According to the government, the former warrant officer owes his country $81,272.10. Part of the problem can be traced to a class-action lawsuit settled in 2014. The court ruled that veterans with disabilities were entitled to lump-sum payments to compensate for cost-of-living increases dating back to the 1970s, increases required under their long-term disability plan. Campbell said his one-time payment from that settlement was close to $112,000. In a letter sent in May, Veterans Affairs told Campbell he had been overpaid under the Service Income Security Insurance Plan by a total of $74,252.10 between 2012 and 2016. The letter said he had also received a separate overpayment of $7,020. The government wants all the money back. Of California’s 58 counties, 25 operate courts for veterans, including six in the Bay Area. They allow vets with substance abuse issues or mental health problems to be placed in treatment rather than prison or jail. The state Senate Veterans Affairs Committee today approved a bill that would require an evaluation of those courts, with an eye toward possibly expanding them. Businessman Wayne Hughes Jr. is sponsoring the bill and has pledged to pay for half of the study. It is expected to cost about $200,000. Hughes, who runs a program for veterans at his cattle ranch in San Miguel (San Luis Obispo County), says many vets have trouble adjusting when they get home. 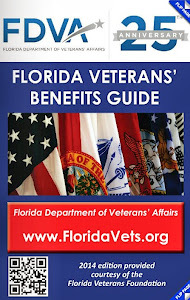 Veterans Crisis Text Unanswered by Contractors? I am sure by now you heard about how veterans sending text messages to the VA Crisis Line went unanswered. The key is within this. "The VA told the GAO it relies on its text messaging service provider to monitor and test the text messaging system, the report says. But the provider said it doesn’t conduct any routine testing." In other words, a contractor otherwise they would have used "employees" or similar language. If you look online for government contracts you'll find that most VA Clinics are run by contractors. Just like the Choice program is, care has been outsourced by politicians writing the rules and paying the bills instead of making sure our veterans received the best care by the VA. You know, the one Congress has had jurisdiction over since 1946! Health Net Federal Services, LLC (Health Net) is proud to partner with the Department of Veterans Affairs (VA) to provide a wide spectrum of high quality, cost-effective health care services supporting U.S. Veterans nationwide. Video shows Marine with PTSD in dangerous confrontation with police officers Could proper PTSD training for officers help avoid such violent arrests? A terrifying traffic stop caught on video shows a highly-trained and decorated war veteran who suffers from post-traumatic stress disorder squaring off with police officers. The officers were armed with guns and Tasers. The confrontation ended with a trip to the hospital and jail. The war veteran, Kirk Shahan, is a Marine who was shot at plenty of times on the battlefield while serving his country overseas. Now, back home, he was Tased during a violent traffic stop in the suburbs of Detroit. Shahan knows all about war. He credits one American flag for his survival during tours in Okinawa, Iraq and Kuwait. "I carried it in my flack jacket in case something ever happened, that way I would be buried with the U.S. flag," he said. He saw plenty of death on the battlefield. "Saw things people shouldn't see. I've done things people shouldn't have done. If I had done those things stateside, I would probably be in prison. Now, they throw a medal on your chest," he said. Shahan carried his friends' bodies back to safe zones so they could have proper burials. New York University’s medical school has quietly shut down eight studies at its prominent psychiatric research center and parted ways with a top researcher after discovering a series of violations in a study of an experimental, mind-altering drug. A subsequent federal investigation found lax oversight of study participants, most of whom had serious mental issues. The Food and Drug Administration investigators also found that records had been falsified and researchers had failed to keep accurate case histories. In one of the shuttered studies, people with a diagnosis of post-traumatic stress caused by childhood abuse took a relatively untested drug intended to mimic the effects of marijuana, to see if it relieved symptoms. 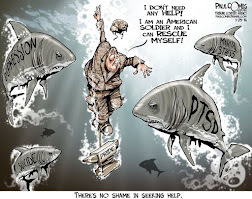 Ohio National Guard "Demystify PTSD"
Myth or Fact?A majority of Ohio's military veterans suffer from Post-Traumatic Stress Disorder (PTSD). It is a myth, as less than 10 percent of Ohio National Guard service members suffer from significant PTSD. The Ohio National Guard has produced the above video to encourage employers to understand diagnosed and undiagnosed PTSD among their employees who are service members and veterans. Employers, PTSD survivors and others who are concerned about this issue are encouraged to commit their support online by participating in the dialogue with #DemystifyPTSD. 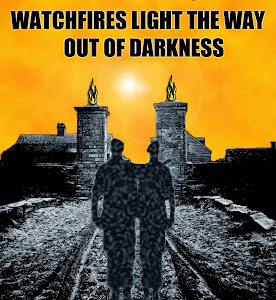 If you think that anything is new with PTSD then you haven't been paying much attention. This article pretty much proves that one. It also proves that with all the talk about raising awareness, it is more talking about what they get wrong instead of the truth. LANSING – In police circles it’s called “suicide by cop” and Kent Hall saw no other way out. Today, Hall of Williamston is vice president of a small veterans advocacy group called Honor for All. The core mission of the Royal Oak-based group is to erase stigmas attached to the term “post-traumatic stress disorder." Its members want the word “disorder” dropped and replaced with the term “injury.” Hall likens the condition to a wound of the arm or leg — invisible but just as debilitating. Hall didn’t die on that day 31 years ago, but his struggle didn’t either. The article talks about "22 a day" and the event publicized that even though it is not even close to reality. It also talks about calling PTSD "PTSI" for injury instead. Do they really think that will make a difference at all? It won't. They have been mulling the title around for decades and the wound is still the same wound. Veterans suffer the same way all the other generations did. The most sickening thing of all is that folks are getting famous off that suffering. 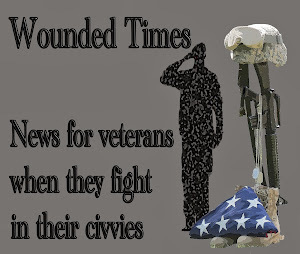 Would be great if they would stop talking about what they get wrong and then maybe veterans would trust then to help them heal for the right reasons. The war followed him home to Tallahassee. Until last Sunday, when the Marine never woke up. Dustin Allan Wood was 32 years old and a father. The cause of his death is still unclear. But Wood was on pain medication to deal with wartime injuries. He drank often, usually to “feel less, remember less,” said Beatrice Wolfe, his aunt. She said she wouldn't call his death a suicide, but something like it. Wolfe is coping with her nephew’s death by speaking out to raise awareness about veterans’ overall struggle with depression and Post-Traumatic Stress Disorder. 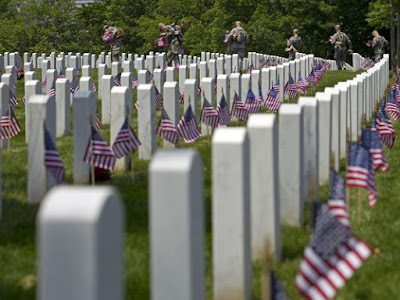 Thirty veterans whose remains went unclaimed were finally honored during a funeral ceremony Saturday at Fort Logan National Cemetery in Denver, Colorado. 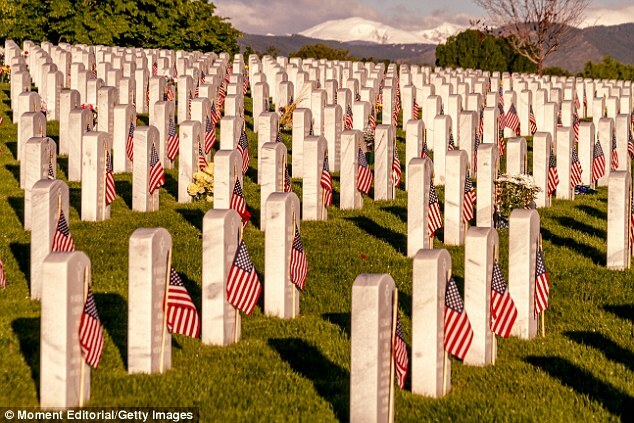 Some of the fallen soldiers' remains had been cremated and left at funeral homes, while others had no next of kin. About 80 relatives and supporters turned up to pay tribute to the veterans, some of whom had served during World War II, the Denver Post reported. Remains sometimes go unclaimed because families forget about them or do not know they can get a military burial for their relative, Edwards added. The names of the dead were read during the ceremony, followed by the rank, branch and war in which the soldiers served. The veterans' past went as far back as World War II. PTSD AWARENESS DAY! If you do not know what it is then you are now looking in the right place. 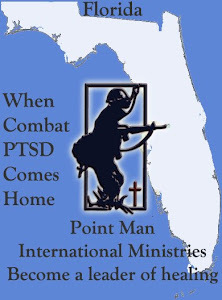 PTSD= Post Traumatic Stress Disorder and the only way to get it is by surviving a traumatic event and yes, it actually is a wound. It is even in the title since TRAUMA is Greek for WOUND. It has nothing to do with being weak or not training right. 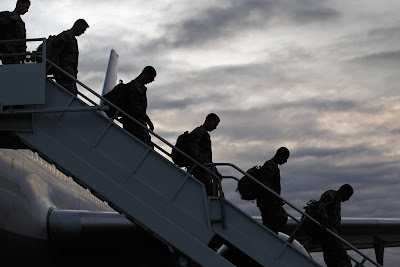 It has everything to do with the fact the Department of Defense failed ten years ago when they claimed they were taking it seriously and then found every excuse possible to sit back doing the same stuff that failed even though suicides went up. 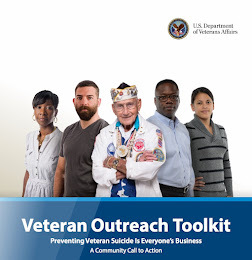 How they hell did they think prevention training would work for those with multiple deployments when they keep pointing out that non-deployed service members committed suicide? How did they expect anything to change when they refused to? As for being out of the military, they no longer had to answer any questions or include veterans in on their heart wrenching totals. They left that up to the VA. You know, the same VA that Congress has had jurisdiction over since 1946. The same one they have been writing the rules for an coming up with the funding for when all they ended up doing was blame the VA.
What did Congress do? They kept funding all the stuff they pulled before when they did not have a single clue what to do. They just kept doing the same with different names, funding them with more money and then giving themselves a pat on the back as if they did anything any reasonable person would have been ashamed of. You have PTSD because you cared enough to put your life on the line and felt it all more than others. In other words, your strong emotional core is paying the price. It is about time the DOD got that message. Everything civilians get after anything traumatic events is because of what researchers learned when Vietnam veterans came back and fought for all of it. Yes, military folks started all of it. So do yourself a big favor and spend some time on this site and learn what you should have known all along. "It ain't rocket science." It is all common sense and all public knowledge. I've been doing this for over 30 years and living with it everyday. I used to feel alone until I discovered how much company I have. Now you know it too. WASHINGTON, June 23, 2016 /PRNewswire-USNewswire/ -- Veterans Affairs employees are holding dozens of rallies outside VA hospitals this week and next to protest plans to privatize veterans' health care and shut down VA hospitals and medical centers. The Commission on Care, a group that was created by Congress to recommend ways of improving veterans' health care, is close to finalizing a set of recommendations that would significantly weaken the VA's world-class health care system and pave the way for privatization and future closures of VA medical centers, sending veterans to for-profit hospitals for care. 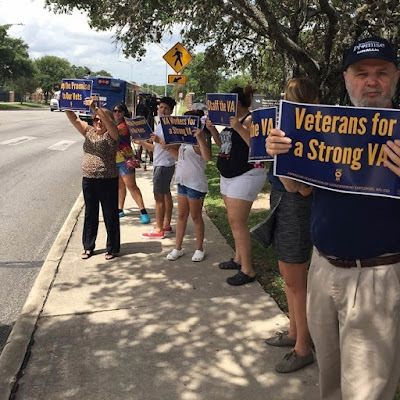 Veterans Affairs employees rally outside the Audie L. Murphy Memorial VA Hospital in San Antonio, Texas, on June 20 to protest the proposed closing of VA medical centers nationwide. The rally was one of nearly 40 nationwide actions being organized by the American Federation of Government Employees, which represents 230,000 VA employees across the country who provide health care and other vital services to our military veterans. The Commission on Care is close to finalizing recommendations to Congress that would pave the way for privatization and future closing of VA facilities, sending veterans to for-profit hospitals for care. Veterans Affairs employees rally outside the Audie L. Murphy Memorial VA Hospital in San Antonio, Texas, on June 20 to protest the proposed closing of VA medical centers nationwide. 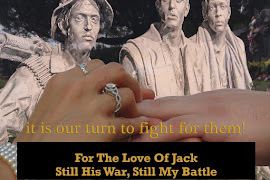 The rally was one of nearly 40 nationwide actions being organized by the American Federation of Government Employees, which represents 230,000 VA employees across the country who provide health care and other vital services to our military veterans. The rallies are being organized by the American Federation of Government Employees, which represents 230,000 VA doctors, nurses, psychologists, benefits specialists, and other workers across the country who provide health care and other vital services to our military veterans. "Even though the vast majority of veterans oppose privatizing the VA, there are many people who would benefit financially from dismantling the VA and forcing veterans into a network of for-profit hospitals and insurance companies," said AFGE National President J. David Cox Sr., who was a VA registered nurse for 20 years. Here are just a few and now you know why they have to do it. Congress has had since 1946 to make sure veterans were treated properly. They failed and the decades of blame game prove it. TUSCALOOSA, Ala. —Veterans are pleading for action to keep VA hospitals across Alabama and the country from closing due to a shortage of government funding. Signs greeted drivers as they passed by Tuscaloosa’s VA Hospital on Friday. 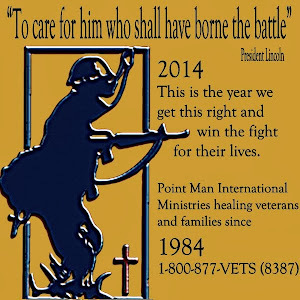 The signs urged public support for veterans to continue receiving care. "We made a promise to America's veterans that we would take care of them when they come back, and we think the VA does this better than anybody else," said Tammy Ryan with the American Federation of Government Employees. Tuscaloosa’s VA Hospital also provides employment to local residents. Organizers of the picket said roughly one-third of the hospital’s 1,000 employees are veterans. 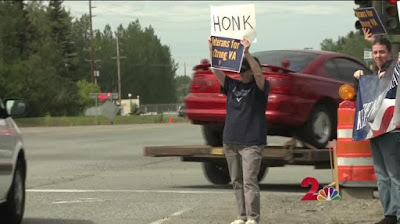 Anchorage, ALASKA (KTUU) - About half a dozen veterans and local Veterans Affairs workers held picket signs outside the Anchorage VA hospital on Thursday to raise awareness about proposed VA reform which calls for closures to some hospitals. "I want personally to make people aware this is a real possibility," says Air Force veteran and VA audiologist Cari Sherris. Across the country similar pickets were held Thursday. Sherris says if the hospitals are closed, veteran healthcare would be privatized. She doesn't believe that will work well for veterans. "It wouldn't be specific to veterans," says Sherris who believes a focus on PTSD and other combat related illnesses should be at the forefront of veteran care. June 22, 2016 ANN ARBOR, Mich. -- Michigan protesters are joining those in more than two dozen states this week to fight efforts to shutter some Veterans Administration hospitals. The VA Commission on Care soon will release a report suggesting major changes to the VA health system, including privatizing some services. As a leader in mental-health care, prosthetics and rehabilitation, the VA is best equipped to address the unique health-care needs of veterans, said J. David Cox, national president of the American Federation of Government Employees. He said it's a fully integrated health-care system. "It's a system that deals with homelessness and veterans, works with veterans who end up with issues concerning law enforcement," he said. " VA health care is important, and we cannot privatize it or the men and women that serve this country will certainly be the losers." HELENA – Around a dozen picketers gathered in Helena on Monday to protest a proposal they say could spell the closure of VA hospitals around the country. Union representatives with the American Federation of Government Employees joined veterans and current and former VA employees for the three-hour picket at the heavily trafficked intersection of US Highway 12 and Williams Street – a little more than a mile from VA Montana’s headquarters at Fort Harrison. AFGE district vice president Gerry Swanke, who heads the union branch that represents thousands of VA workers in Montana and eight other western states, said a report from the congressionally created VA Commission on Care offers a blueprint for the rapid privatization of VA health care services and the potentially widespread shutdown of beleaguered agency-run hospitals. WLOS — ASHEVILLE, N.C. -- Dozens of people showed support for the Charles George VA Medical Center in Asheville on Wednesday. The rally is in support of keeping the facility open and not privatizing care for veterans. TOMAH — Jake Mason has received treatment for substance abuse from the private sector and the Veterans Administration. He has no doubt which delivered the more effective care. Mason was one of 15 patients and employees of the Tomah Veterans Administration Medical Center who held a lunchtime “Keep the Promise” rally Thursday at the facility’s entrance. Tomorrow is PTSD Awareness Day and I want you to wake up knowing a lot more than you knew today. 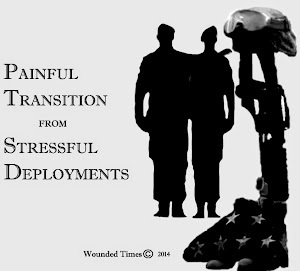 It is time for some brutal honesty and that begins with the simple fact most of the veterans committing suicide are over the age of 50. Stunning I know but you are 78% of the veterans within the VA system taking your own lives and you did not even know it. Ironically that is on page 22 from the Department of Veterans Affairs Suicide Report. While most of you are jumping onto your motorcycles for one charity ride after another trying to make a difference, it has been a worthy battle for the right reasons but with the wrong intel. As with combat, the wrong intel costs lives. In this case, it has meant more veterans your age are dying by their own hands instead of being lifted up by yours. I see it all the time. I have never known a finer bunch of people than Vietnam veteran families. 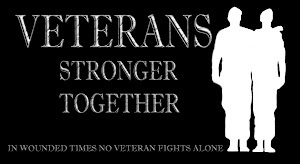 Patriotic and lovingly committed to other veteran no matter what branch, war or MOS your dedication is inspiring. That is the most heart-wrenching thing of all. You are not even aware you are in the greatest need of help. You are also the in the best position to help others heal. So here is your new MOS. Specialize in healing so you can go on a Mission of Surviving to help others heal. 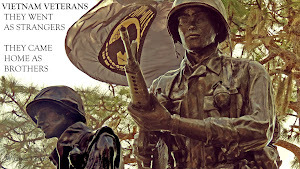 Vietnam veterans came home with the same wounds as all generations before them and after them. The difference is, it was your generation to being the fight to heal from what war did to you. You pushed for all the research and funding on trauma that allowed the civilian population to address what trauma does to them. Because of you there are crisis intervention teams responding to events just like the one we had in Orlando at the Pulse when over 100 people were shot and 49 of them were killed. Because of you it is also known that that one horrible night will effect all the others for many more years to come. It was not just the families notified their kids were not coming home or the survivors recovering from bullet wounds, but also those who escaped and those who left the club before it all began. Yes, we're talking about survivor guilt. 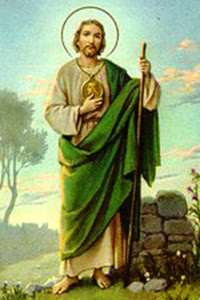 It is because of you it is known that the responders are forever changed as well and will need help to recover from it. Because of you it has been learned that PTSD is caused by the trauma itself and is a wound. Trauma is Greek for "wound" so it is a wisely chosen term. It did not begin inside of you. It hit you. It hit you because you were there and felt it more than others. It has nothing to do with being weak but more to do with the strength of your emotional core and your commitment to others. 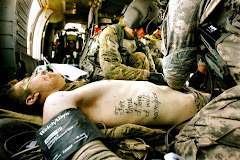 That same commitment that allowed you to be willing to die for the sake of someone else. As a matter of fact, your choice of profession after military service reflects that perfectly. The number one job veterans seek is in law enforcement, followed by firefighting, emergency responders, medical service and then teaching. Serving others is in your emotional core. With that out of the way, you also need to remember you are not a "victim" but a survivor. You lived through combat. So why is it so hard for most of you to not be able to survive so long afterwards? You have not been made aware that you can heal. You do not have to suffer as badly as you may be doing right now. This could very well be your last worst day and tomorrow can be the day you start to feel better. As a matter of fact, once you begin to heal you can end up being even better than you were on your best day in the military. 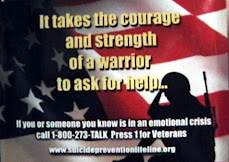 You did not fight alone in combat and there is no reason for you to feel as if asking for help now is wrong. It is just as vital now as it was back then. Getting all the support you could find to defeat the enemy saved lives and now getting all the help you can find now could very well save your own today and others when you help them heal later on. Coming Out Of The Dark from 2006. The only difference is the numbers are higher, not lower after all these years of raising awareness. Think of it a s new mission. 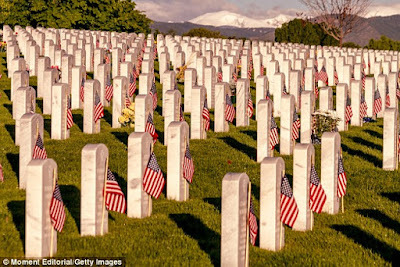 You did all you could in combat to save them and that included being willing to pay the price with your own life so why not be willing to sacrifice your pride now? After all, there is nothing to be ashamed of if you have PTSD but your pride in discovering that has gotten in the way. There is an ever growing list of Medal of Honor recipients talking about their own struggles because it has nothing to do with lacking anything including bravery. 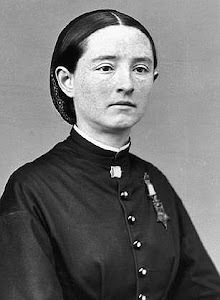 You can't get much more of a stronger example of bravery than having a Medal of Honor around their neck. 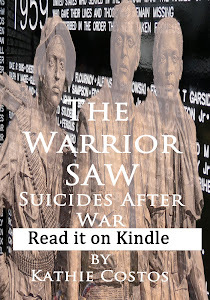 If you have survivor guilt and wonder why you are still here, that was not up to you. That was up to the person who put the bomb in the road or pulled the trigger of the gun. The question should be not about why you lived but what you are going to do with the rest of your life? Do you do all you can to help yourself so you can help others? Do you do all you can to make tomorrow better and make things up to folks you may have hurt? Do you restore relationships and be the best person you can be or do you plan on just getting by today getting numb instead of felling all the good that has been trapped inside of you? Do you go on spreading rumors as if they mean anything that will make any kind of a difference to anyone or do you learn the truth so you can give another veteran a reason to wake up one more day? The choice is yours. What you become aware of tomorrow could very well save lives and that, that should be your new mission. Three North Dakota marines took their own lives within the last month. Commandant Raymond Morrell says those are not statistics that are well known, nor should they be, but through the Marine Corps League, he says future statistics should not be so grim. Morrell says military members know better than most that battles continue to be fought at home. He says whatever you choose to call it: PTSD, combat issues, or what he 'less than stellar conditions,' he says the way to heal is through camaraderie, and the best camaraderie comes from a fellow veteran. (Raymond Morrell, Dakota Leathernecks Detachment #1419) "One of the best resources they have, is someone to talk to. You tell me, who understands marines better than a fellow marine? As fellow marines, that's one of the biggest issues. One life. The ability to save one life. That's what I feel we're here to do." If Charities Cannot Get Number Right, What Else is Wrong? Got up this morning and reading the second article so far about PTSD and suicides, my head is ready to just explode. If they cannot get the number of veterans committing suicide right, then what else have they gotten wrong? 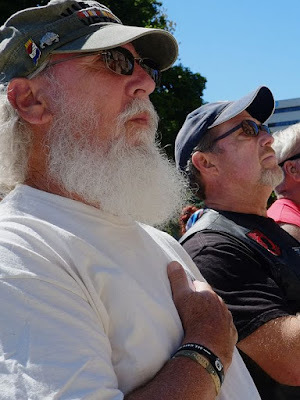 Both article involve motorcycle riders trying to change the outcome for far too many veterans. Suicide in the veterans community is higher than in the civilian community. Most states put the number at double the civilian rate. With the CDC stating over 41,000 suicides per year, that means we are losing over 26,000 but you do the math. The VA used the number "22" as an average and pointed out that involved just 21 states using limited data. The report came out 4 years ago and data collected was completed in 2010. The report also pointed out that the vast majority of veterans committing suicide within the VA data were over the age of 50. That number is 78%. 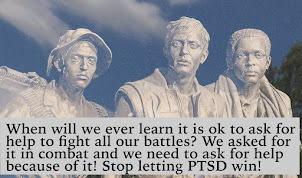 This is from North Dakota used "victims of PTSD" when it is clear, they are not victims but survived the trauma itself. The ride was dedicated to Joe Biel a veteran who committed suicide after 2 tours in Iraq. This report is out of Wisconsin about a fundraiser for equine therapy. This has been shown to help veterans with PTSD but while that should have been the message, it was deluded with yet again a troubling claim. If they cannot get the number right then what else have the gotten wrong? If you think that using the number is harmless, then you are part of the problem. Their lives should matter enough to actually learn the facts and stop reducing them down to an easy to remember number. 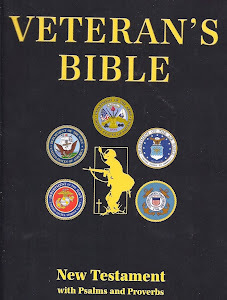 What about the over 50 veterans not included in that number? What about all the families within the over 50 range thinking it is only younger veterans society cares about? How can any of them care if they have not bothered to learn that the group with the highest suicide rate is being left out of all the efforts to save them? How can older veteran involved in all these efforts to raise funds not even know it is their generation of veterans suffering the most? Nothing will ever change until people seeking to raise funds for what they want to do actually prove they know what they are talking about. Suicide calls are up and so are suicides. So what good does all the "awareness" do when they reach the point where they do not want to live instead of getting what they need to heal? Increasing suicides and suicide threat calls have become "a daily occurrence" in the last five years, he said. Last year, 81 people died by suicide in Larimer County, nearing the record of 83 set in 2014. Shortly after completing his training to become a 911 dispatcher in Fort Collins, Brendan Solano handled a call he'll never forget — a suicidal man "holding the gun in his hands." Solano spent an hour on the phone talking with the man about his military service, his kids and anything else he could think of to keep him on the phone until police could intervene and help the man. "I didn't know what to ask, what to say," said Solano, 24, who became a dispatcher nearly three years ago. "I didn't know this guy. He doesn't know me. ... Those calls are really hard to deal with." And there have been many of those calls. Suicide and suicide threat calls to Fort Collins 911 increased by 40 percent from 2011 to 2015, according to Fort Collins Police Services. PENTICTON — A former Penticton Fire Chief is suing the City for wrongful dismissal and several other claims. Wayne Harold Williams, 56, served the City of Penticton with a notice of civil claim on June 21, 2016. In an exclusive interview with Global News, Wayne Williams says over the span of four days in February 2015, the fire department responded to three major fires. 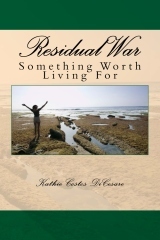 One of those calls irrevocably changed his life. It was a house fire, but it was no ordinary blaze because a body was found inside; the man had committed suicide. Williams believes this incident triggered his post-traumatic stress disorder (PTSD). A veteran who fought in two combat tours said he was left neglected when he needed help the most. He called a crisis hotline but didn't get a response for days. Benjamin Burks is a proud Marine. "I did two combat tours to Iraq,” said Burks. Now, he said he's fighting another war, post-traumatic stress disorder. When he needed someone to talk to, he called the Veterans Crisis Line but didn't hear back for two days. Burks worries the long wait time could be devastating for someone suffering from P.T.S.D. "Why is there a 24-hour waiting period for somebody that could be or going to harm their self," said Burks. Crisis Services of North Alabama is listed as a resource agency on the Veterans Crisis Line's website but there's no affiliation. Richard Brown, a Korean war vet and founder of Biggie’s Great Burgers and Shakes. Henlin shared his dream with Brown and said he wanted to partner up with Biggie’s, simply because he loves burgers, he said. Bobby Henline nearly lost his life fighting for his country. He deployed to Iraq three times with the 82nd Airborne Division and the 3rd Armored Calvary regiment. Three weeks into his fourth tour in Iraq—on April 7, 2007—Henline’s Humvee was blown up by a roadside bomb. He was the only survivor of five soldiers. Henline was burned over 38 percent of his body; he spent 6 months in the hospital and was in an induced coma for about 3 weeks. He had no ears, no eyelids, and some of his teeth were missing. His left hand was eventually amputated, and he underwent therapy for 2 years. He has had 47 surgeries to date. “I’m a wounded vet,” Henline, 44, said. 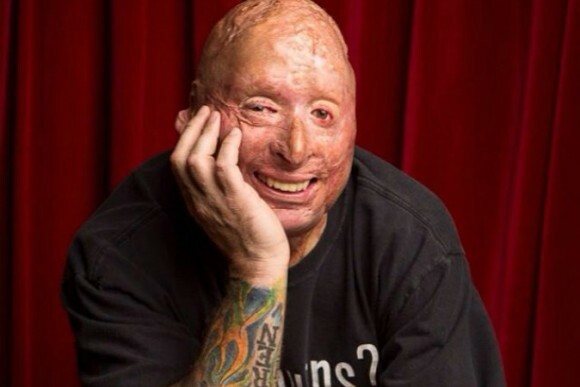 Wounded, yes, but he did not stop living—thanks largely to an occupational therapist who persuaded him to use his clever sense of humor to do stand-up comedy. “Joking is how I dealt with everything,” Henline said. He has now been doing stand-up comedy and motivational speaking for 7 years. FORT HOOD — Fort Hood officials released the name of a soldier who died June 22 from an illness at Scott and White Hospital in Temple. Chief Warrant Officer-3 Michael Steven Adkins, 37, whose home of record is Wooster, Ohio, entered active-duty military service in January 1997 as a quartermaster technician. 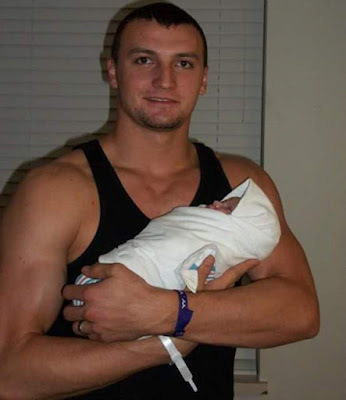 He was assigned to the 206th Military Intelligence Battalion at Fort Hood since 2013. Adkins deployed in support of Operation Iraqi Freedom from January 2002 to August 2003, March 2004 to January 2005 and from July 2009 to July 2010. He also deployed in support of Operation New Dawn from June 2011 to November 2011.
are being laid to rest at Arlington National Cemetery in Virginia. MISSOULA — After 48 years, the remains of a long-missing Vietnam War veteran are being laid to rest at Arlington National Cemetery in Virginia. The Missoulian reports that Army Sgt. 1st Class Alan Boyer was buried on Wednesday by his sister, Judi Bouchard, of Florida. Both Bouchard and Boyer moved from Illinois to attend the University of Montana in the 1960s before Boyer left to join the Army. 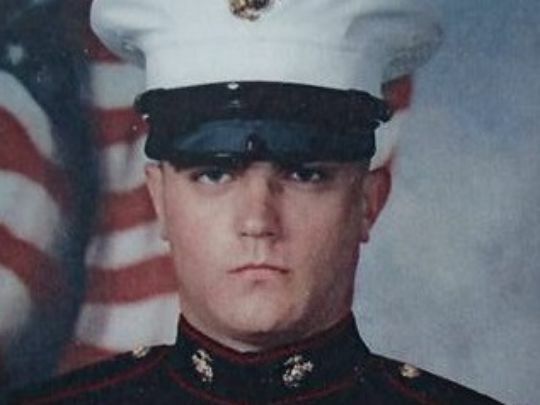 ST. PETERSBURG, Fla. (WFLA) – Thunderstorms prevented the proper burial of a Marine who was killed in a hit-and-run crash in Tampa. On Thursday, Private First Class Lagarian Sharkey was given the burial he deserved. It comes three months after his death. Family could not lay him to rest at Bay Pines National Cemetery because of heavy rain. “I was a bit sad, but I wanted it to be done properly. So today, that’s why we’re here now,” said his mother, Chavon Sharkey. Vincent and Chavon said their son was the victim of a hit and run. His case remain unsolved. Officials have not yet identified the man that committed suicide, but said that he is an active airman. 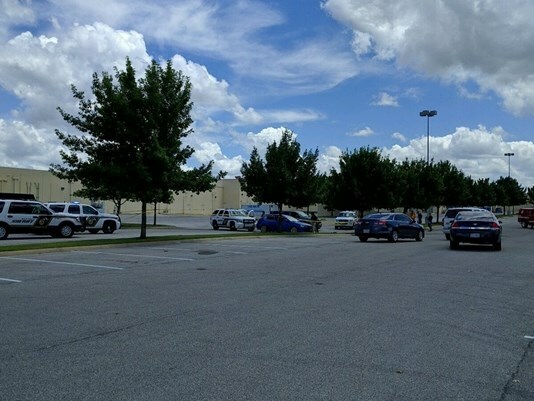 A man who was en route to a local military base, reportedly to attempt to commit a shooting, instead turned the gun on himself after he was intercepted by deputies, according to law enforcement sources. The suspect was cornered by law enforcement at Culebra and 151 near a Target store just after 12:30 p.m.
Before deputies could take him into custody, he shot and killed himself, according to sources. A man served two tours in the Middle East only to be shot and killed back in his hometown. Friday family members remembered Josh McLemore, a decorated war veteran killed after a dispute in Decatur. Police arrested Scott Dutton and charged him with murder. Investigators said Dutton punched McLemore in the face and fired one round at the victim's feet before firing a fatal shot into his abdomen. Josh was a decorated war veteran. He served a tour in Afghanistan and Iraq. "They hit an IED in Iraq,” his mother Janice McLemore said. “And he had some shrapnel go through his head." Despite his injuries, Josh pulled his fellow soldiers to safety.